This is an advertisement for a product that supposedly helps obese people lose weight quickly. It is a board which one stands on, and it just shakes. 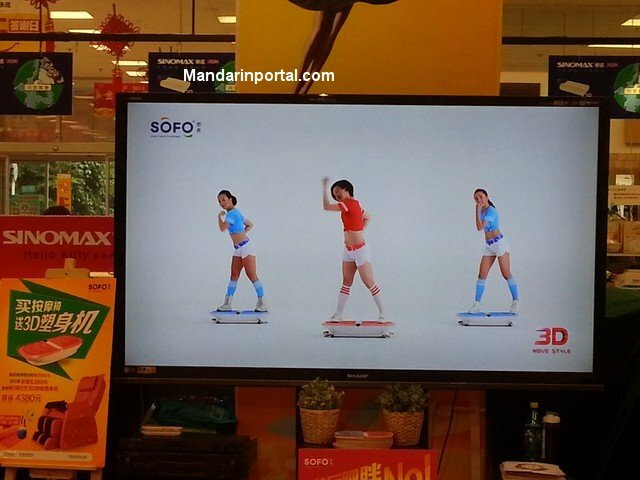 I find it funny that sometimes during the short video demonstrating the product, the people would actually get off the product and dance around or jump around while not on the product. The second picture is one of 3 people demonstrating on TV how to use the product. 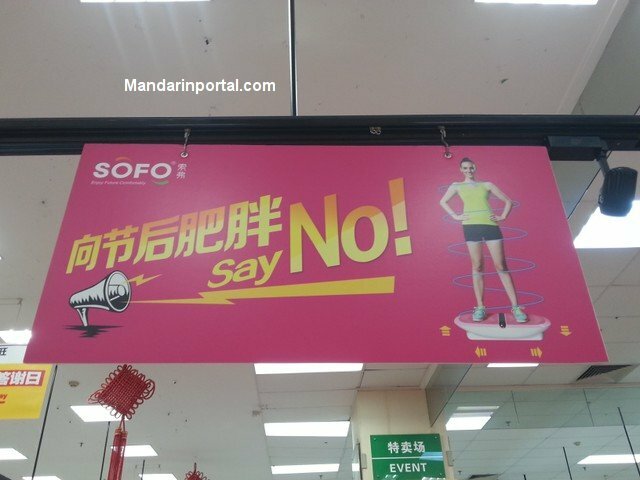 These pictures were taken in a Jusco in a part of Foshan, Guangdong, China.